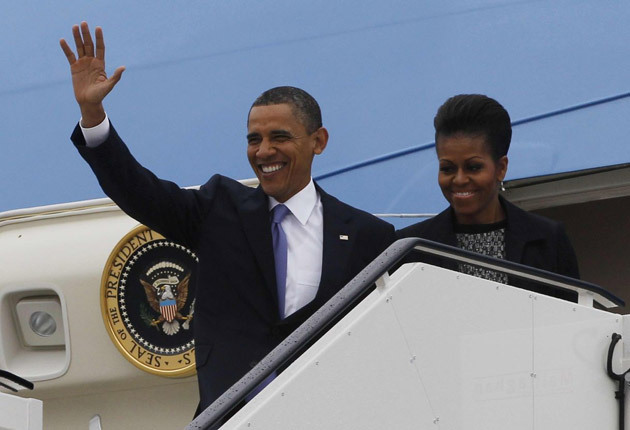 Ireland welcomed US President Barack Obama this morning. 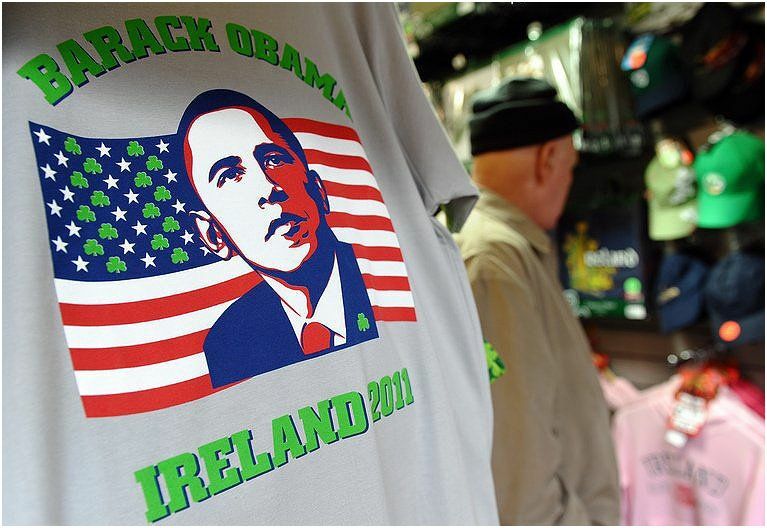 The President's visit marks a celebration of Obama's Irish heritage. Welcomed by Ireland's deputy Prime Minister Tanaiste Eamon, The President and his wife, Michelle Obama continued on to meet Irish President Mary McAleese, where after a warm welcome, the President expressed- 'Thank you so much. We're thrilled to be here'. Mr. Obama is scheduled to visit the village of Moneygall, Co. Offaly - the place of his Irish heritage. 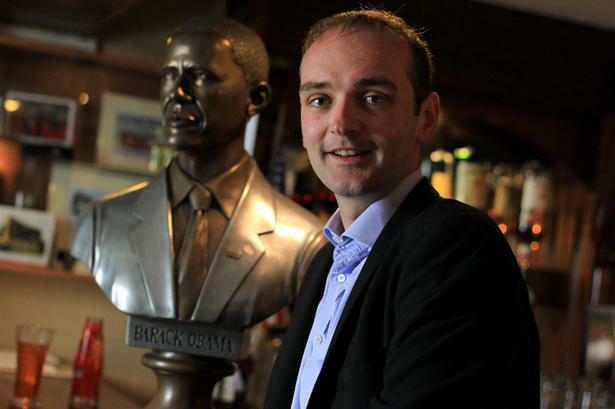 His great-great-great grandfather, Falmouth Kearney left Ireland for America 160 years ago and Mr. Obama is expected to meet with fellow descendants, including his distant cousin Henry Healy, who still lives in the rural village and Healy's aunt, who is thought to be Obama's oldest living relative in Ireland, who said 'it's very exciting for us all... We all had great excitement in the beginning when the word came through he was related to us'. The entire village has been anticipating the visit for well over a month, by re-painting houses, laying fresh pavement and tidying gardens - playing the generous and friendly hosts the Irish are renowned for. Obama first discovered his Irish roots while campaigning for the Presidency in 2008. 'It was brought to my attention... that my great-great-great-grandfather on my mother's side hailed from a small village in County Offaly'. Although this visit marks the start of Obama's 2012 re-election campaign, the trip has been more popularly known as a homecoming and gesture of solidarity and kinsmanship. Obama has elaborated on this, saying: 'The friendship and the bond between the United States and Ireland could not be stronger... Obviously it is not just a matter of strategic interests. It's not just a matter of foreign policy, for the United States and Ireland carries a blood lineage'. 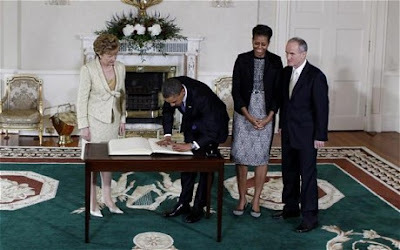 The President of The United States has always traditionally visited Ireland. It is a country of great importance to the formation of the American nation, and it is thought that there are up to 40 million Americans who claim Irish ancestry. Ahead of the visit, the Irish Ambassador to the United States, Michael Collins, explained that the visit was 'a chance for the President to really celebrate the ties between our countries and the kind of unique feelings that the American people have for Ireland'. He continued, saying that 'the visit of the president represents a very bright moment for us', a fitting statement, as upon being greeted by Mary McAleese, Obama noted that 'The sun's coming out - I can feel it'.